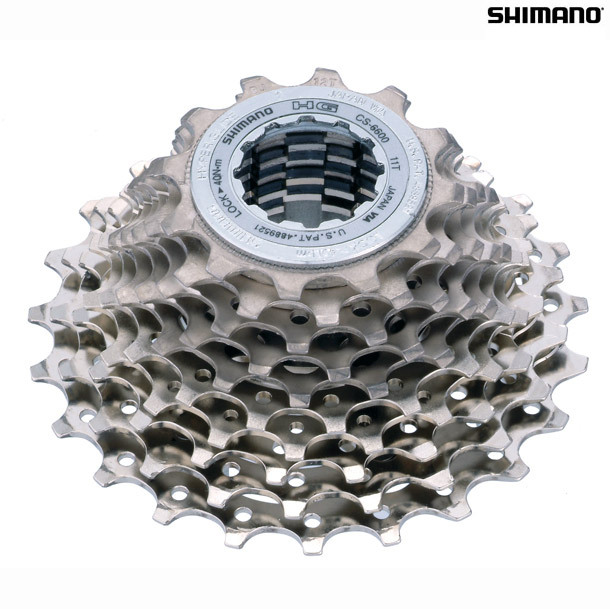 - High performance 10-speed Road cassette. - Three largest sprockets are mounted on a lightweight alloy carrier to reduce weight and increase rigidity. - Sprockets are cut away and drilled to further reduce weight without reducing rigidity. - Chrome-plated steel cassette lockring.